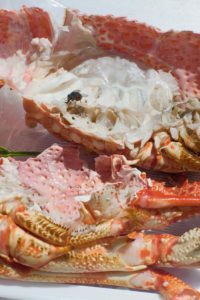 In this exhibition of work made mainly after 2003 Tillmans guarantees that image and experience comes strikingly together. The role of the individual photograph plays a strange game here. In a series of controlled, somewhat thematic rooms, scale of production is very much the point. It is about being there, at times, in various places, experiencing large and small reproduction, the literal range of approach and represented fact, film, paper, physical process and means of production. You need not study in order to understand, yet what you do understand is how to work out where you put yourself in relation to the small, smaller as well as huge images. Fascinating and incidental, seeing and thinking is laid before us. We look at patches that show mechanized muck and empty cigarette cartons, at environments, angles and spaces, picture of places; a market with cows, lights, islands, and water falling through a pipe onto food, flowers and wire. The marketplace, magnified to one to one human scale, is not about time spent or formal achievement, so much as the provision of space and place where no one looks out and we look only temporarily in. Further on men undress against a dark sky, about to swim off the boat, distantly lit. There is the actual sound of place, and music. Just wondering and wandering, dancing, yet concentrating on the floor, concentrating on place rather than action, circumstances and situations; in a hotel room, for instance, somewhat tawdry, where one thing or another is sidelined or accentuated, and there are lots of trainers, of course. Another concentration, on the ground this time, at an angle, with a huge image showing leaves on a stone slab brought up sheer and flat. But Tillmans also shows a mass of reference laid out on display tables. His own imagery, collected articles, essays, scraps and souvenirs, is displayed in apparently logical lines with logical breaks, to be looked down upon. This unfurling mass of written, published, printed, found and bought material, is there to reinforce the ineffectual nature of the relation between written, drawn, and reproduced manifestations of life and the photograph as artwork. In a world of change and apparent powerlessness, languages running along side each other are unable to affect in a direct way. Much is seen, found, and made, yet this mass of material and experience still leads to no greater self-knowledge. Ultimately, you get no overview in terms of representation and this exhibition may, in a strange way, mark the end of the understanding that we cannot understand. Without feeling that you know, you still trust the integral honesty of the artist as he moves through his studio, home, the world in general, engaging at varying angles, with deliberate approach. Concerned with sharing, asking, and looking, Tillmans allows each piece, or collective relationship, reproductive lightness rather than individual weight. How does the work function, though, apart from its role in the exhibition? Do you buy Tillmans by the wall rather than individual image? This extensive study of concern, love and observation, of the detritus of life, the found and lost, moments revealed, with place as important as portrait, shows a grown-up fascination for all, a vulnerable questioning. Sympathising with, as well as mimicking, our continuous attempt to understand, is in turn what we are really led to understand and enjoy.